As part of the Daimler Trucks division, Mercedes-Benz Trucks has been a hallmark of premium quality for over 100 years. Mercedes-Benz commercial vehicles offer a one stop shop service. We realize the importance when it comes to choosing your commercial vehicles and that is why we make sure you get the vehicles that match not only your requirements and personal needs but the needs for your business too. Mercedes-Benz trucks combine comfort, economy and safety in each and every vehicle. We stock and supply a wide range of trucks that we guarantee are of the highest quality. As the Only Official Distributor of Daimler Trucks, we also offer premium customer service for your fleet. Find out more about the legendary Mercedes-Benz Trucks. Whichever Mercedes-Benz Truck model you would like to order - ZIMOCO has it! Being the leader in today's competitive environment means providing solutions that create greater economic efficiency. No more, no less. The new Actros does exactly that, along with providing outstanding performance, an optimum payload, unbeatable quality, maximum safety, and environmental compatibility. And no compromises. The Actros. A new class of truck. 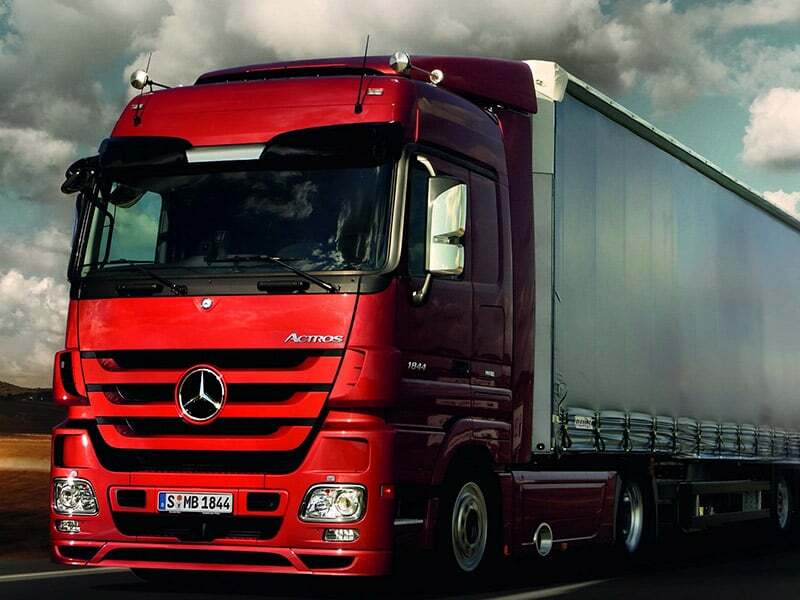 All Mercedes-Benz Trucks are Euro 3 emission level compliant. The new Actros offers a range of cabs and specification for every task and budget. Innovative technology provides an economical transport solution, long-distance or short-haul. In addition, the Actros boasts hard-wearing good looks and of course, exemplary Mercedes-Benz standards of safety. Features like Telligent Lane Assist, a larger and more comfortable bed with adjustable head section, and the innovative PowerShift gearbox all add up to a truck that’s safer, more comfortable and easier to drive than ever before. After being voted Truck of the Year in 1997, 2004, 2009 & 2012 and awarded a Guinness World Record for fuel efficiency, the Actros has just gone one better by being voted “Truck of the Decade” by Truck & Driver readers. Find out more about the Mercedes-Benz Actros features and benefits, and specifications. The Mercedes-Benz Axor was a truck designed to weigh less and work like a heavy weight. Of the many factors that determine how economical a truck is, payload is perhaps the most decisive. Especially when it comes to the medium-distance haulage and heavy-duty short radius distribution. The Axor was designed specifically to fulfill these tasks, so high payload is one of its fortes. It is already a very efficient truck with a durable, economical and powerful 6-cylinder engine plus a special powertrain configuration. With robust design and long service intervals, we have now also reduced the weight of the Axor wherever possible. You are sure to find the right cab, as there are three on offer, including larger cabs for more space up front and smaller cabs for increased payload, depending on engine power and applications. 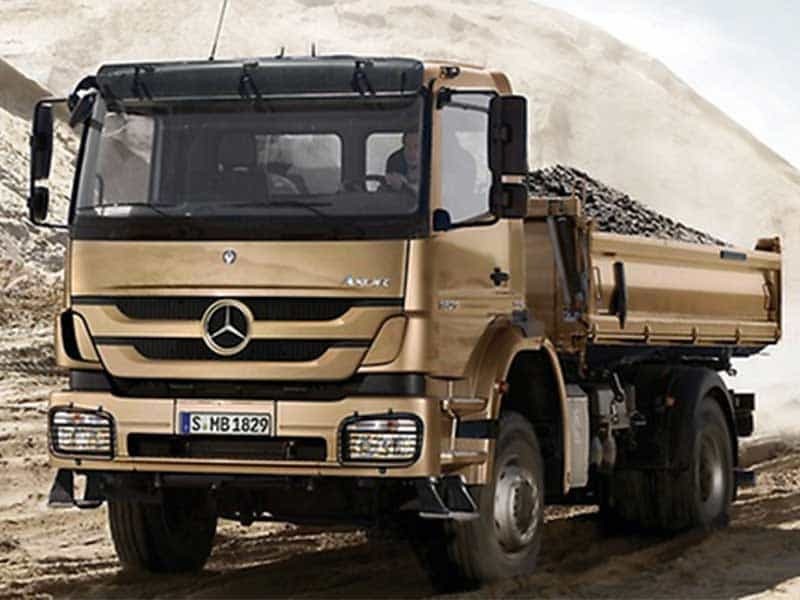 Find out more about the Mercedes-Benz Axor features and benefits, and specifications. *Please note that this is an international brochure. Vehicle specifications may vary from the Zimbabwean market. Please contact us for further information.